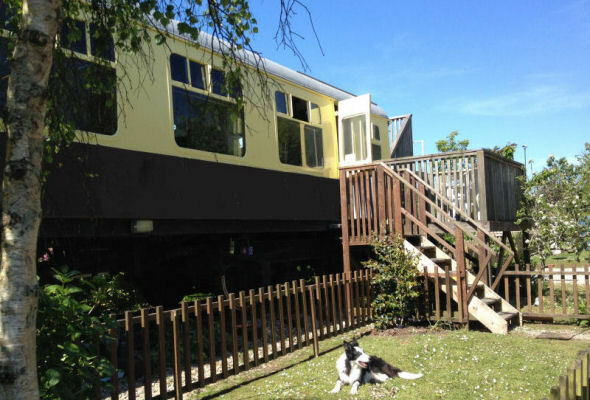 Harvey sits in a lovely big garden beside Hayle station on the Cornish main line, one stop away from the branch line to St Ives and only a short walk from three miles of golden sands. 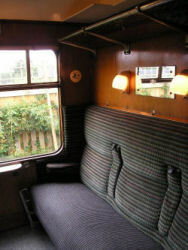 This 1950's corridor coach offers a real trip down memory lane, retaining lots of original British Rail features including lamp shades, luggage racks, mirrors, blinds and upholstery. Harvey is close to beaches, attractions and family friendly pubs and restaurants - you will find lots of interest for all ages by visiting our Hayle page. Despite its size (8 feet wide, 65 feet long and 35 tons) Harvey is only let to one party at a time, but is divided at the centre lobby into two ends; East and West. 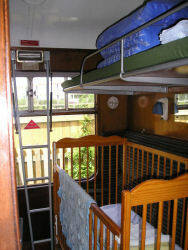 The price quoted is for the East End only, which will sleep up to six (one double, four bunks). 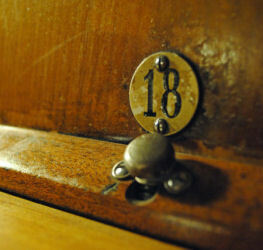 The West End can then be added for an additional £120 when booking, giving a further double bed and bunk. The floor plan is illustrated further down this page. There is a large garden and a deck and train viewing platform. For larger parties who don't mind all squashing in, both sitting rooms can be used for sleeping in, increasing the capacity to 13. However we would only recommend this if you really don't mind living like sardines! For two couples or families holidaying together, Harvey can be divided into two separate self-contained lets by lockable sliding doors. We find our children and their friends love having their own space - and there are times when a 'grown up' lounge compartment is rather an enjoyable luxury! Pets are welcome. All our coaches are non smoking. Click here to book your holiday in Harvey on-line now or check availability and prices. 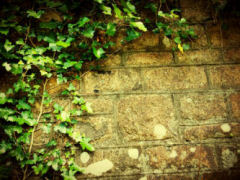 At Railholiday we know how important the environment is to our guests, so offer holidays that are eco friendly. 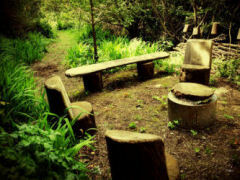 At Hayle this includes full recycling and composting facilities, green energy supply (Good Energy), £25 off if you arrive by public transport and a gated wild area with a pond, butterflies and birds. You can read more about our green record on our green page. We are the proud winners of Visit England’s 2016 National Gold Award for Sustainable Tourism, and Harvey has a gold rating from the Green Tourism Business Scheme. 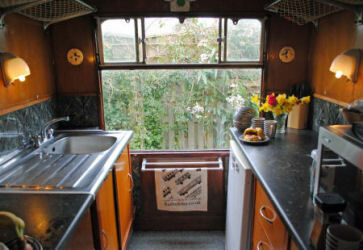 Inside, Harvey is compact and quirky - it is a 1950's railway carriage through and through. We made the decision not to remove any compartments and so there is no large living area, but for extended families Harvey is a great place as each party can have their own space. Teenagers and children will enjoy their separate sitting room and grandparents can be on hand but still have a place to retreat. And we're confident small children will love their signal box playhouse! For things to do and some of our favourite holiday day trips whilst staying in Harvey, go to our Hayle Area page. One of the highlights of Harvey is the outside space - so much den making potential and a chance to see birds nesting in the escallonia and foraging for hawthorn berries and rosehips. In the autumn there's a good sized bramble patch in the wild area and a bounteous apple tree. 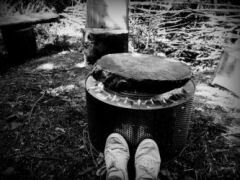 There is a campfire area with chestnut seats made from our own woodland and a recycled washing machine drum that acts as a brazier, keeping the fire contained - perfect for roasting marshmallows on a summer’s evening or chestnuts in the autumn. Who is Harvey suited to? As parents of (no longer quite so small) children we understand the importance of a stress free holiday, so we have made sure the enclosed site is safe by adding a high bolt to the exterior gate and have strived to make the carriage perfect for families by adding everything you'll need, from a high chair to toys, books and DVDs. Our own children Walter and Poppy have always loved staying in Harvey - and bringing their friends to join them! 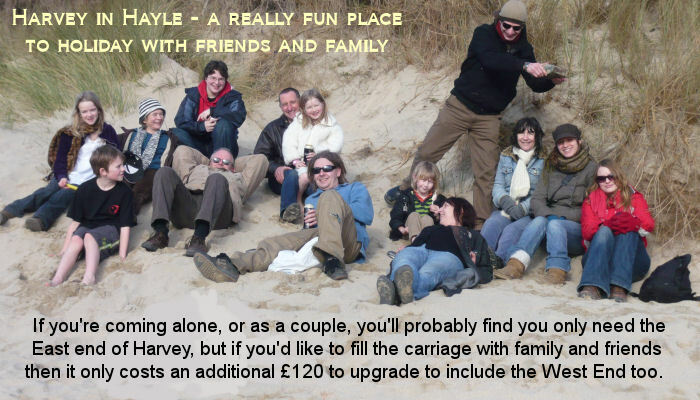 With two separate lets that can be divided off, or made into one large space, Harvey offers the perfect solution for extended families or friends who'd like to holiday together but still have their own space. 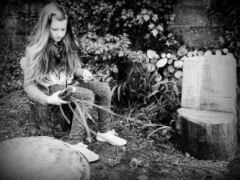 We love the video Poppy made of Harvey - please click on this link to watch it. 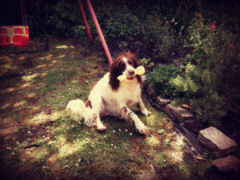 Dog lovers - Pets are welcome and have the run of over half an acre of enclosed garden. There are dog friendly beaches within walking distance, although the closest is only open to dogs between October and March. 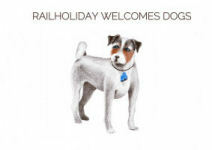 For listings of dog friendly pubs and beaches, please visit our Pet’s Page. Couples - Although Harvey has room for larger parties, it is just as good for smaller ones, and many of our guests choose to only book the East End. You’ll still have sole occupancy of the carriage and garden - the West End will simply remain locked. Many couples love to visit Harvey off season - the Hayle area has something for everyone all year round - marvellous spring gardens, summer festivals, autumn colours and bracing winter walks along the beach. Walkers, Heritage and Wildlife fans - Hayle is a major part of the Cornish Mining World Heritage Site and has lots of industrial heritage to explore, as well as being very close to the fascinating prehistoric settlements that pepper the Penwith area. The carriage is only 3 minutes from the South West Coastal Footpath. Catch an open top bus from Penzance around the Lands End area, visit Geevor, Lelant, Porthcurno and the Minack. 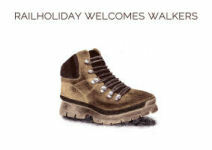 Put on your boots and go for a yomp along the beautiful coastal footpaths or the many trails that crisscross the moors. 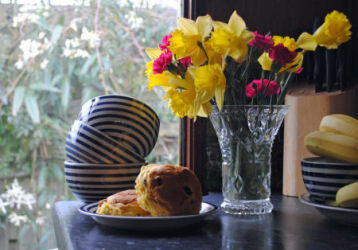 Bird watching is particularly popular in the Hayle area, on account of the estuary and the mild climate all year round. 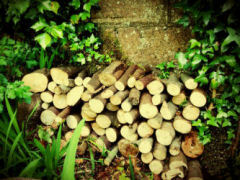 Harvey has a butterfly and herb garden, bird boxes, log piles and a wildlife area, so there's never any shortage of nature to watch. We are the proud winners of wildlife several awards, including the 2013-14 Visit Cornwall bronze award for Wildlife Friendly business practice. 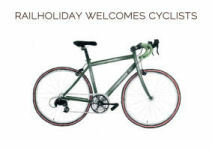 Cyclists - There is a cycle shelter, Hayle Cycles, a local bike shop offering bike hire, just down the road and Harvey is only a few metres away from National Cycle Route 3. Train mad boys and girls of all ages (and even those who aren't so enamoured!) - For the rail enthusiast there is a viewing platform adjoining the carriage. However there are very few trains overnight and there is a fence covered with roses and clematis between the coach and the platform, to ensure privacy. 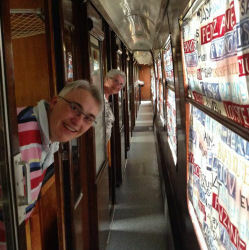 Please note that because Harvey is a railway carriage and we have endeavoured to keep it as original as possible, there are space constrictions which may make Harvey unsuitable for taller visitors. The compartments are all the same size, 190cm by 190cm. Please be aware that if you are very tall the beds may be too short for comfort, as the matress is a standard double with no space to extend the feet beyond the end. For more details please see our Access Guide.